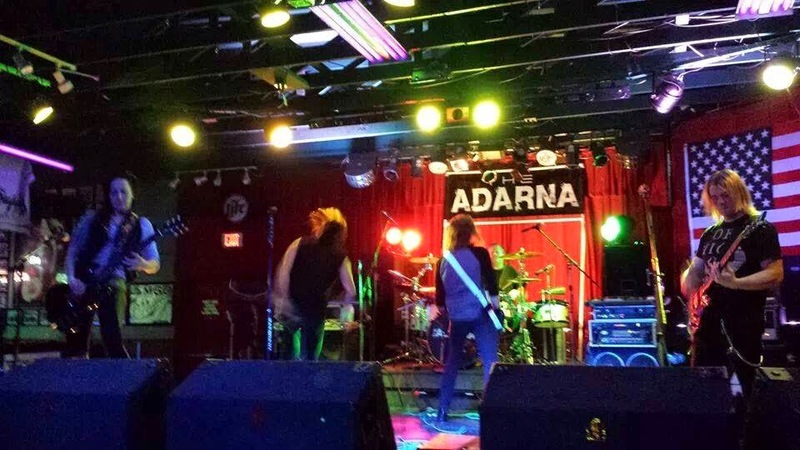 Immediately before Seattle’s hard rockers The Adarna take the stage, their audience is already at full buzz. The sound of industrial noise and melody fills the air and then The Adarna appears. The band members prowl the stage, like an animal in a cage about to be let out to attack its prey. When the noise subsides, Murdock clicks his drumstick to cue, begins his beats rising from the back of the stage and then all hell breaks loose. Jeremiah Hazel strums bass guitar in front of him. Flanking the bassist are guitarists Andrea Jasek and Neal Winter. Frontman and vocalist William Moore sets himself on stage, front and center. The Adarna’s stage set is simple but thoughtful with surprise. Stretching above and behind the drummer is The Adarna’s emblematic logo, white lettering on black. Along the front of the stage are amplifiers adorned with light strings, while the house’s multi-colored spot lights are strategically set to cast across each of the musicians. The dreamy vocalist, Will, momentarily ascertains the crowd and situation. Seeing what he likes, he jumps onto a platform designed to illuminate lights inside, casting uplit glows. Songs are played with a sound best described as musical equivalent to Alice In Chains meets Coheed And Cambria, with the single-best frontman in Rock. Yet no matter how melodic they become, The Adarna never lose their intensity. Moore gesticulates wildly, makes eye contact with all, and creates stage banter next-to-none. Although Jasek played Salt Lake City and Ogden with a severe case of bronchitis, she was up, front and center, powering through every song. Both Hazel and Murdock use their instruments to add volume and to help keep time. Though newest member, Neal Winter, has not been around long, he delivers an amazing show, night after night, swirling his long locks to the rhythms. 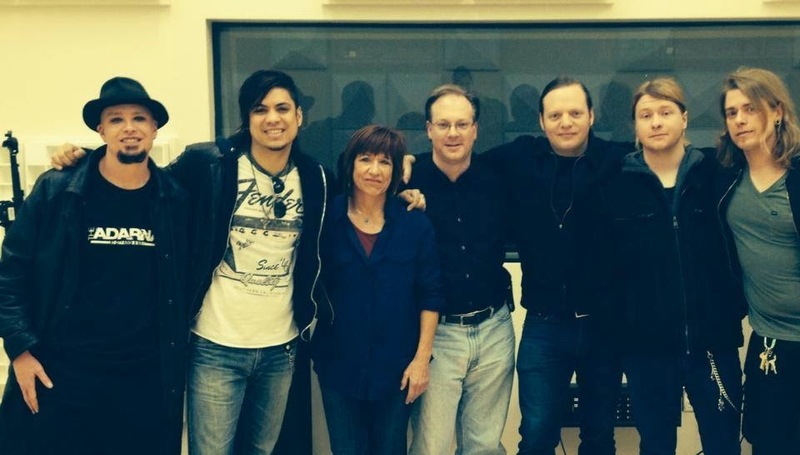 The band members have completely, and utterly, dedicated their lives to their vision. The Adarna is intent on producing superior music. Their songs are crafted from elements of the past. Present is a little grunge, a little alt-rock and some progressive, making it extremely difficult to pigeonhole this band. Their music is influenced by such a large variety of artists, it would be near impossible to point to one that has any singular defining personality. Every member of The Adarna openly gives 110% out of the gate every show. If getting signed by a major label, getting rich or getting famous was predicated on outstanding live performance, then The Adarna would be minimally Triple-Platinum. Because of the band’s attention to detail, most audiences are left breathless after The Adarna exit the stage. Moore is in full command of the stage performance, so much so that the amount of sweat he drips ends up hitting the crowd like a slap. Winter is destroying the guitar with his style and aggression but in complete control of his instrument, illustrating why he was hired on only two months ago for the tour. The rhythm section, Hazel and Murdock, have taken the art form of time keeping and raised its bar significantly. Hazel walks out dead center into the crowd, allowing the invisible “4th wall” between audience and performer to be smashed to bits. Finally, there’s Jasek. While most musicians would tend to allow smaller things guide their judgment and possibly not perform at all when ill—even at half the illness—Jasek uses her inner drive as a tool to prove others wrong. With beauty and intelligence, she can rock harder on-stage—barely able to breathe—than most male guitarists, who think they’re God’s gift to Gene Simmons. By the end of the show, an amazing transformation occurs with The Adarna and audience. The feeling is pure elation and gratitude. Most bands today are satisfied to rock their pro-tools, get their advance from the label, then go out and put on a mediocre show with tired performances. The Adarna are different. Every single ounce of energy is exhausted on the stage. Beaten, sweaty and thoroughly exhausted, Will starts walking through the audience amongst looks of shock and surprise. The look is familiar. It has happened in Montana, Washington, Utah and happens after every show. To some, having knowledge of the ability to change people’s emotions through performance can make them sloppy or unfocused. For The Adarna, however, this awareness does not detract from the goal each band member shares. Every performance, whether it is for a crowd of three or three thousand, is to be given the exact same energy and effort every time. Each show is the best one of your life. The audience, most certainly, thanks you.